UKGovCamp is an event with growing importance to the public sector digital scene. Last Saturday, UKGovCamp14 took place in City Hall in London with all the pizzazz of a confident and grown-up event. At its core it is an unconference for those interested in technology and the public sector - an annual event that sees geeks and public officials giving up their Saturday to share, learn and inspire. 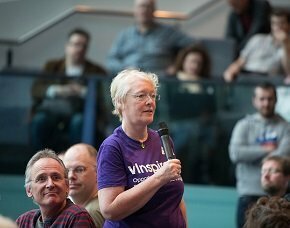 Because of its volunteer core, in the past the event has had a certain informality but the ever increasing list of commercial sponsors now attached to the event is proof that UKGovCamp has come of age and that genuine markets are opening up for technology SMEs in the government digital market. Because of the format the audience itself sets the agenda with individuals suggesting topics they would like to lead. As usual there was a wide range of subjects offered by the participants. As part of a very long list of suggestions, topics included: Peer2Peer lending with Bitcoin; How to explain agile (without sounding like a cult); Open data - the next steps; UKVoteCamp; Data science in government; Next-generation datastores; Publishing statistics on the web; and ROI social media and influence. The full list of topics can be accessed here, and gives a sense of both the concerns of the sector and their capabilities and knowledge. Helpfully the organisers also included on that list the Twitter names for the session leaders so, if you are interested in digital and the public sector, they are the folks that you really should be following. The session list also provides links to any that were live blogged on the day, so provide a rich archive of the discussions. UKGovCamp was started in 2007 by Jeremy Gould, then a Whitehall civil servant who travelled this year from Ireland, where he now lives, to attend the event. In a recent interview with The Information Daily, Gould accepted that things have changed a lot since the inception of the event but believes that it still retains its importance for the sector. “Sure, the world is a very different place and a lot of the stuff that we were doing around the time of the first GovCamp is embedded and routine now. But sustaining and supporting innovation inside a large corporate environment is hard. And a lot of this stuff is still very innovative, especially if you are working outside GDS [Government Digital Service],” he said. Given the prominence GDS has achieved in the government digital narrative, it is often forgotten that UKGovCamp predated the digital by default agenda by some years - at least two people in the audience made the New Year’s honours list this year along with GDS chief Mike Bracken - Mary McKenna and Jeni Tennison. Many of those now working in GDS were some of the original GovCampers - no surprise then, to see many of them returning on Saturday to lend a hand and learn from their colleagues in local government. Not surprisingly too, given the interest of many of the sponsors, agile was a word that kept cropping up, specifically how to introduce the idea of agile to traditional IT directors and risk averse public officials who often want more certainty around project management. To put in context, Graham Lane from the Greater London Authority (GLA) Technology Group suggested that in an exhausting audit environment - the GLA can be audited in various aspects of their work up to eight times a year - a rigorous approach to documentation is required which is not something that is always present in agile methodology. In the GLA they are iterating a way to keep the auditors happy so, while the GLA Technology team are committed to agile, they maintain a top-level Prince2 approach but drill down to individual projects which are then developed in an agile way. This prompted Simon Everest, transformation manager at GDS, to wryly suggest: “Why not just call agile Prince3”, which might seem to defeat the purpose of agile but actually puts the conflict nicely in context. Agile is not just a methodology but a philosophy too, and a way of making change that is much required in the public sector. But agile practitioners are often not versed in the ways of bureaucracy, so events like UKGovCamp are extremely useful test beds to help them learn from established civil servants and local officials. As you would expect from the audience profile the hashtag for the event #ukgc14 was actively used and was quickly trending on Twitter. 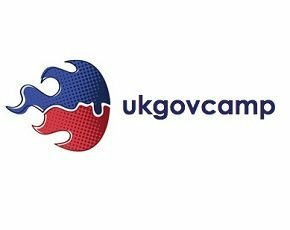 If you are interested in an important community that is helping the public sector do IT and digital better then follow @UKGovCamp and book your place early for 2015. 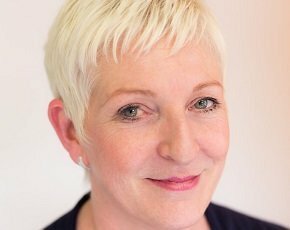 Emer Coleman is the founder of DSRPTN, a company that provides consultancy services on technology and change. 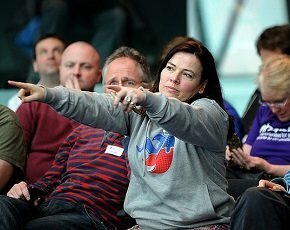 She is also part of TransportAPI, a tech startup supporting innovation in transport.